Hi there, first I'm canadian and my SUV so. I'm a hobbyist doing his best, not a mechanic, I don't take charge of other people's installation issues. Anyway, I decided to buy a SUV some months ago, and it comes without the wiring harness for the trailer and the hitch. I made it myself. 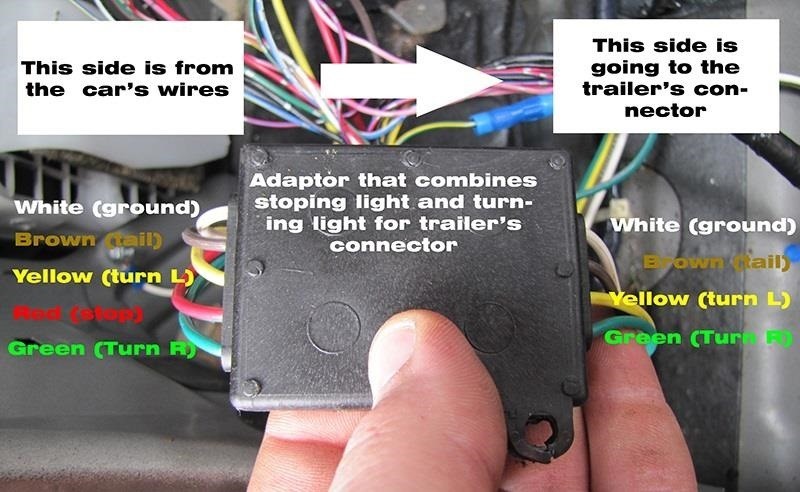 In this part, only the wiring will be presented. This is for 4 pins harness connector. 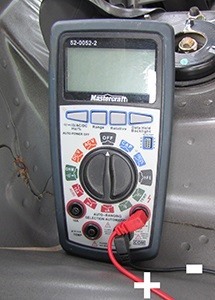 In any doubt, you can do as I have done for some wires; use a multimeter. Everything on that car works on a 12VDC. 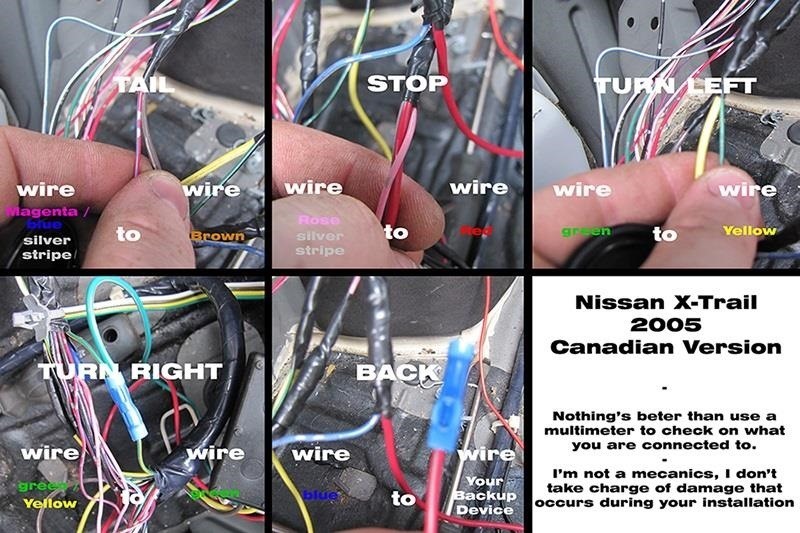 Ground yourself somewhere, skin a little piece of the wire and do function tests. Open the trunk door. Remove the pannel to your left. Do it without missing a piece. 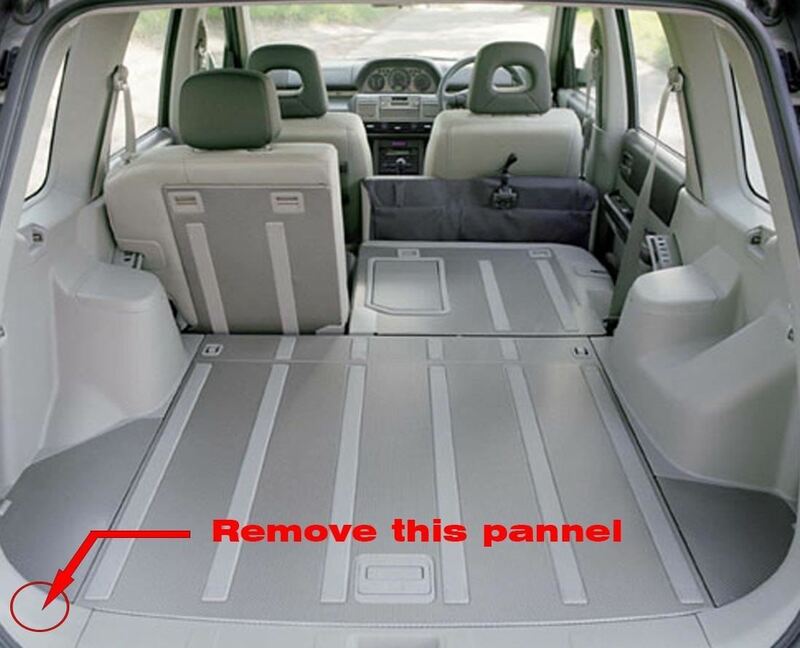 To get there, you'll need to remove the Plastic trunk cover, plastic middle part where the truck door locked, styrofoam over the spare wheel, the spare wheel, the left part cover, the left part styrofoam, the rear left plactic pannel. And now, you have enough space to work. Seems I forget the white wire; on adaptor, it is the ground, so find an empty spot sand it to clean metal, drill it and bolt it firmly in place. Back is not used on 4 pins connector. I used mine for a back-up horn device. 'Cause vibration can cause misconnection or wires to cut entirely. Step 5: Put Back Your Rear Left Plastic Pannel and You're Done!